I put together a quick comparison of these reasonably priced alternatives to modern standard f/2.8 aperture zooms. I've had the Sigma for a long time, ever since switching to Nikon back in 2012. I've really gotten great performance out of it, but occasionally look at close crops and wonder if I could get better sharpness and contrast. I've gone through a number of alternatives, and none have bested my original Sigma, so I'm still using it. In fact, it is my most used lens, and according to my lightroom smart collections I've taken almost 7,000 photos with it. The next nearest lens, unsurprisingly, the Nikon 70-200mm VR2 with around 4,800, and behind that the Olympus 25mm f/1.8 with around 2,000. I've compared this particular lens with a Tamron 28-105 (far worse), another Sigma 24-70 EX non-HSM (this one was newer but much softer at 70mm). I also had a Tamron 28-75 2.8, but in Canon mount so I don't have any direct comparison images. I've also done some digging through the internet archives, and have read that this Sigma performs similarly or better than the Canon 24-70mm f/2.8L (original version), which is high praise. It also performs better than the Sigma 24-70 HSM, especially at the long end. However, there is another easy to find review comparing the Sigma to the Tokina using photos of a newspaper page that points to the Tokina being much better. This is definitely not the case after my testing though, and I think that the testing performed on such an old body may have been more of an issue of phase detect AF needing calibration with their copy of the Sigma lens (at the time, AF Microadjustment was not readily available). 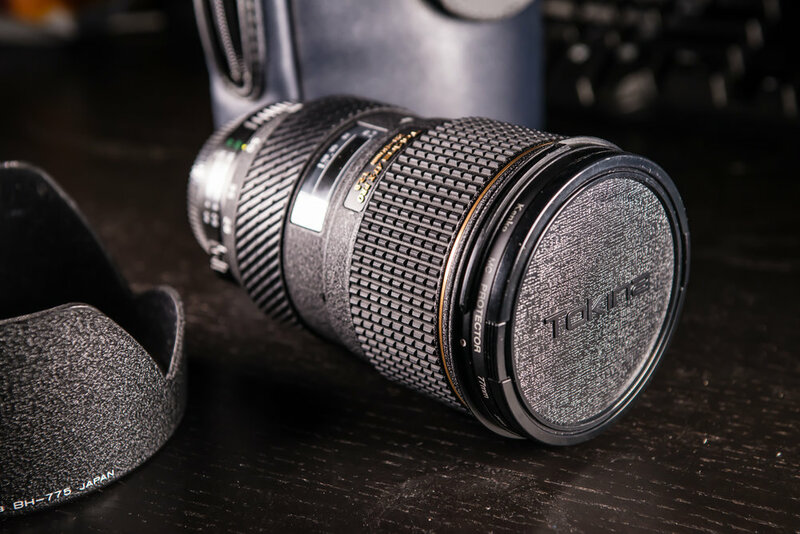 It's worth noting that the Tokina has incredible construction quality - it's very tightly assembled, the AF/MF clutch mechanism, similar to the Sigma's, is smoother and better dampened, and the felt-lined hood is deeper. The Tokina also does not extend when zooming, and it's a little thinner and longer which personally I think looks nicer and probably makes it a little more resilient to dust and water. The Sigma zooms quite a bit towards the wide end, though it is a single cam mechanism (one barrel) and made from metal with a nice textured finish (though not as nice as the Tokina's). 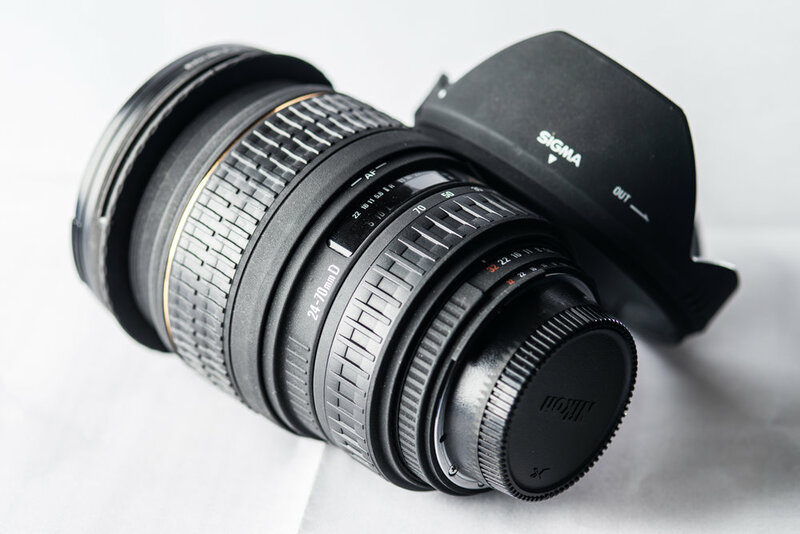 I recently acquired the Tokina 28-80mm f/2.8 ATX Pro and after taking that lens out on a photo shoot, I did quick comparison in my office to see which lens was the better performer in a more controlled setting. In these shots, I used the D800 body on a tripod, fired on a 2 second timer and focused with live view contrast detection to ensure phase detect micro errors would not play a role in the results. Let's get into the samples. ↑ In the above gallery, the images are arranged left to right with the Sigma set to 28mm f/2.8 and f/5.6, then Tokina at 28mm f/2.8 and f/5.6. The Tokina has noticeably more barrel distortion on full frame than the Sigma does even at 24mm. It also has stronger vignetting, and a cooler color rendition (these images are all set to the same color temperature). ↑ Similarly to the first gallery, this one is arranged left to right starting with the Sigma at 70mm f/2.8 and f/5.6, then the Tokina at 70mm f/2.8 and f/5.6. The Tokina has an extra 10mm to zoom to as well here, though the FOV is similar enough that it would be easy to use either lens in the same situations. Both lenses exhibit a minor amount of pincushion distortion, though it is weak enough to really only be visible on critical subjects with straight lines near the frame edge. The Sigma appears to have slightly stronger distortion, but the Tokina also isn't at the extreme end of its range. 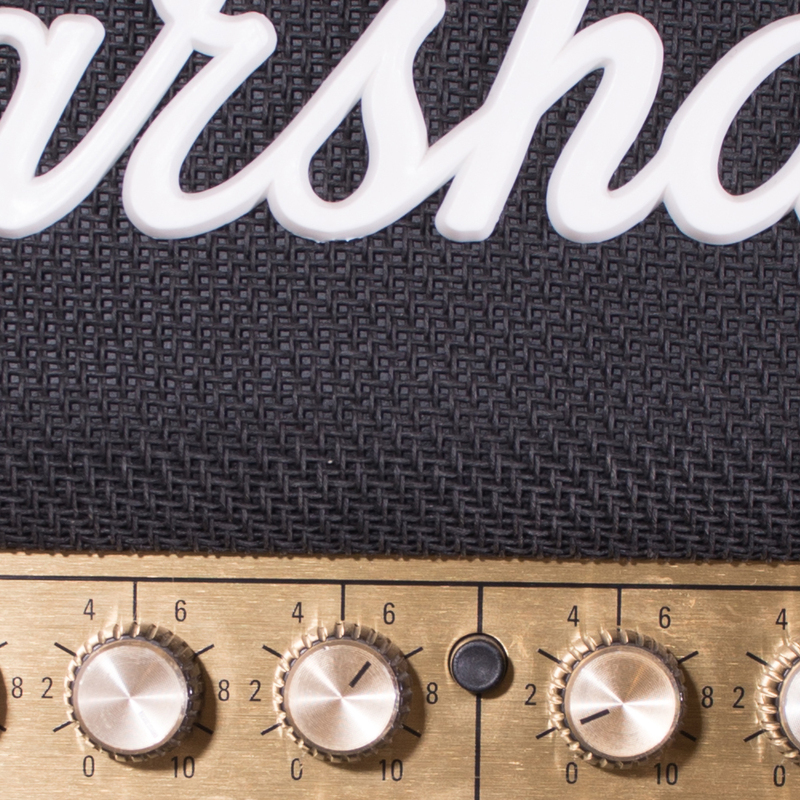 The Tokina has some noticeable softness around the high contrast "Marshall" logo in the f/2.8 image when compared to the Sigma. For my use, I more frequently require wide open sharpness at the long end of the zoom range for portraiture. The Sigma's performance stopped down at the wide end is good enough for me, and the lack of distortion makes it easy to work with in post processing. While I'm sure the Nikon 24-70mm f/2.8 (non VR) offers the best of both of these lenses as far as performance, it still runs double to triple the price of these lenses... so I'll be happy with the Sigma for the time being. If you're deciding between these, you'll have to identify where you need the stronger performance. The Tokina offers good sharpness right from f/2.8 at wider focal lengths but at the cost of noticeable barrel distortion. It is also very well built, and really feels like a premium item. The Sigma has better edge to edge performance, stronger telephoto sharpness, and less distortion coupled with a wider angle of view (at 24mm). It is also nicely built, just not as tank-like as the Tokina. Price is also a factor, with the Sigma hovering around $400 while the Tokina routinely goes for less than $250. With the remaining $150, you could purchase a lens such as the Nikon 85mm f/2.0 AI/S, which outperforms both of these lenses at the telephoto end with no distortion and a wider aperture, at the cost of requiring you to manually focus. I also own that lens, and it is truly exceptional for portraits.